Here is a big, tall plant of the shadows. 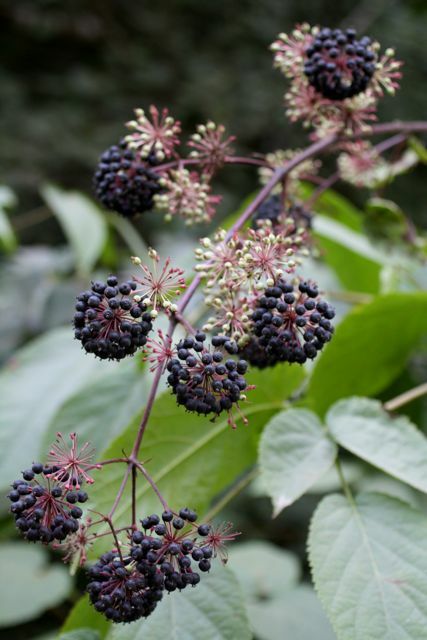 Smallish, round tufts of flowers are surrounded by large jagged-edged leaves. The unopened flowers are particularly beautiful – they look like a sculptor’s version of the childhood game of Jacks. 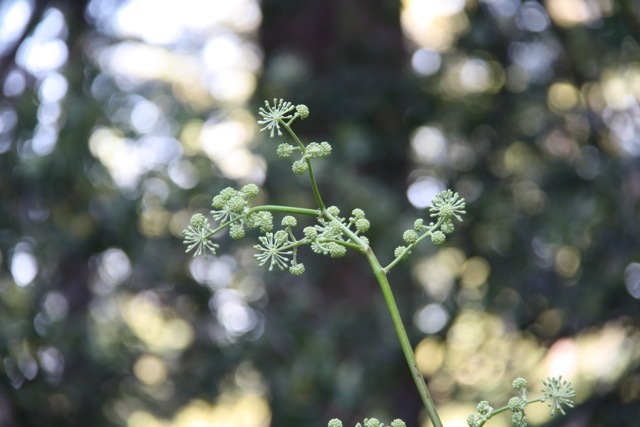 Usually this plant, which grows up to nine feet tall, is found in deep shady woods. I saw it deep in the Mt. Tam watershed, growing on a hillside among redwoods and tanoaks. 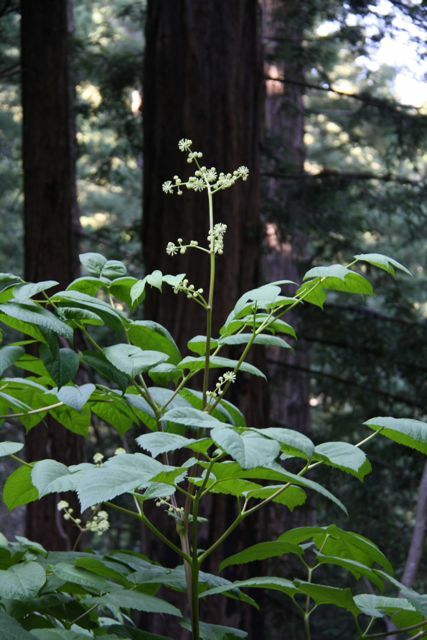 California spikenard (Aralia californica) is in the ginseng family, and is used by herbalists as a tonic. The roots (and sometimes other parts of the plant) were used extensively by various Native American tribes to treat a wide variety of ailments from cancer to fainting to stopping periods. Most commonly it seems it was used to prevent skin infection, or as a tonic for colds. It has also been called elk’s clover or prairie sagewort.